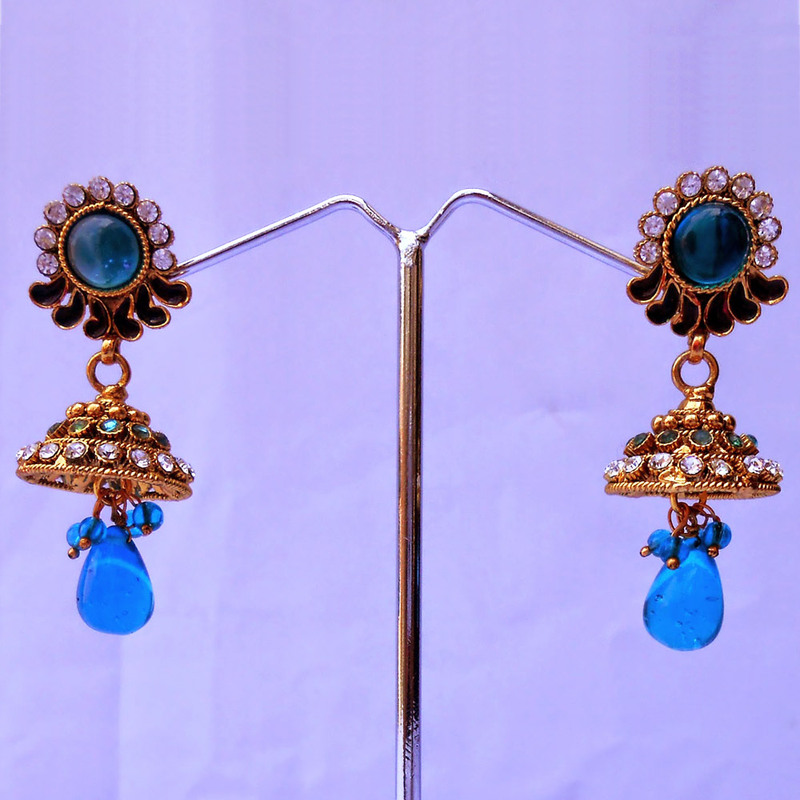 This pair of turquoise stone hanging jhumki earrings features a turquoise gem set at the center of its stub while another stone of the similar Read More..shade hangs from the jhumki segment, with both of them mesmerizing people with their stunning hues. Moreover, the antique polish renders a touch of classiness to the brass metal casing of the earrings, which has a row each of white and turquoise stones adorning it. Finally, the floral design on the stub along with the row of white stones on its uppermost periphery makes this pair a must-have for all connoisseurs of quality jewelry pieces. Show Less..